In recent years, the production and sales volume of flat-panel TVs has grown rapidly, and the market demand for 5052 h32 aluminum sheet for producing plasma display backing heat sinks panel has also increased rapidly. The surface of the LED back plate is required to be clean and delicate, uniform in color, and it is not allowed to have cracks, corrosion, vent holes, peeling, metal and non-metal indentations, scratches, scratches, embossing marks, roll marks, oil spots, bright bands, dark bands and other visible defects. 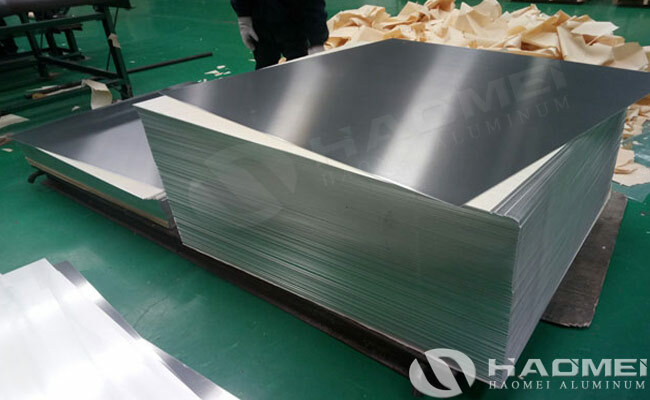 The 5052 h32 aluminum plate has a density of 2.72 g/cm3. The aluminum sheet has high heat coefficient and excellent heat dissipation performance, the residual internal stress of the sheet is small, and warpage deformation due to stress release should not occur after machining, ensuring tight pressing, 90 degree bending without crack. Thus the LED liquid crystal back plate can be used with 5052 aluminum sheet. The 5052 alloy aluminum plate is mainly used for high-profile parts and good soldering process products. The surface of the aluminum plate has no peeling, bubbles, rough surface and local mechanical damage, and the surface of the aluminum plate has no cracks. , no corrosion spots and traces of nitrate salts. The tempers of 5052 aluminum are H14, H19 and H32, the 5052 h32 aluminum sheet is the represent product and has the widest application.